The report titled “Cigarettes in Spain”, provides a comprehensive analysis of Spain’s cigarette industry, demographics of cigarette market, leading players in cigarette industry, excise tax on cigarettes, advertisement policies, government measures to curb illegal sales, and future of cigarettes industry in Spain. Industry Overview and Demographics: Spain has made a huge progress on tobacco control in the recent years but people continue to die and become sick. The country does not make any effort to implement the tobacco control tools for its citizens’ wellbeing. Consumption of tobacco is injuring consumers’ health, the treasury, and the spirit of Spain. Almost every year, more than 58,000 of Spain’s population die due to by tobacco-caused disease. On the other hand, more than 75,000 children and 960,000 adults continue to use tobacco and its products on a daily basis. It was observed that the deaths due to tobacco boosts the tobacco industry in Spain and also ensures that tobacco's death toll grows every year. More men and children smoke in Spain on average everyday and more men die compared to the other countries. The monetary cost of smoking in Spain amounts to 21 thousand million euros every year. The direct costs are related to healthcare expenditures and indirect costs are related to lost productivity due to early mortality and morbidity rates in Spain. The tobacco industry is a powerful force in Spain that does not fear any actions due to their extensive resources and global market power. Thousands of metric tons of tobacco is produced in Spain every year. More than 3 billion cigarettes are produced in Spain and cigarette imports exceeded cigarette exports in the country. Advertisement Policies: Spain has banned all forms of direct and indirect advertising of cigarette on national TV, national radio, international TV, international radio, local magazines, newspapers, billboard, outdoor advertising, at point of sale and on advertising on internet. It also banned cigarette advertisement in free distribution in mail or through other means, promotional discounts, non-tobacco products identified with tobacco brand names, brand name of non-tobacco products used for tobacco product, appearance in TV and/or films: tobacco brands (product placement), complete ban on sponsorship, any form of contribution (financial or other support) to any event, activity or individual and ban on the publicity of financial or other sponsorship or support by the tobacco industry of events, activities, and individuals. Smoking is banned in all public places completely such as healthcare facilities, educational facilities, universities, government facilities, indoor offices, restaurants, pubs and bars, public transport, and all other indoor public places. Performance of Cigarette Market in Spain: A stable growth was observed in Spanish cigarettes market in the recent years, with only marginal declines. Despite increase in excise taxes on tobacco products, the sales did not suffer significant decline. Spain government has taken measures recently such that some brands such as Marlboro and Chesterfield will not increase their prices, therefore, reducing their margins and shaped the overall performance of the cigarette market. The Spanish authorities made strong efforts to control smuggled tobacco within the country which has led to a decline in the illicit cigarettes. Also, the Spanish authorities closed the largest illegal tobacco production plant in the year 2016. Consumers’ demand for illicit tobacco has witness a downtrend in the tobacco sales in Spain. Future of Spain’s Cigarette Market and Leading Players: Philip Morris is the leading cigarette player with more active innovation profile in Spain than its competitor, Altadis. 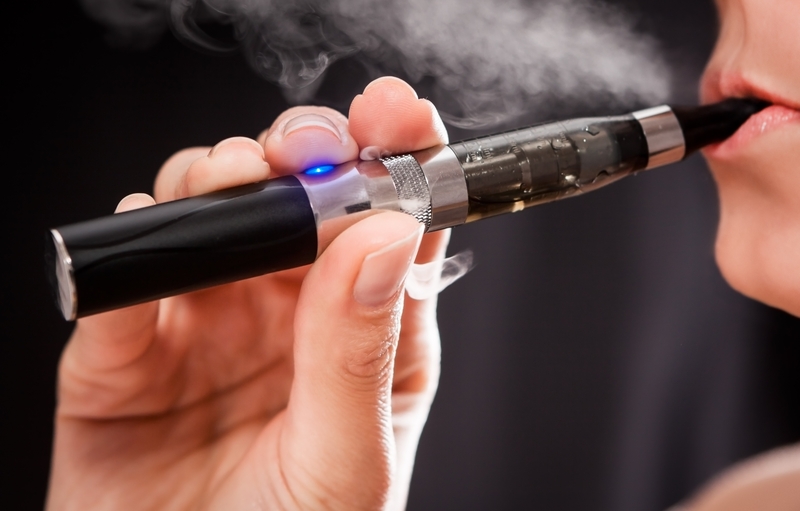 Philip Morris Spain has launched its first e-cigarettes in 2015 under the Solaris brand and first heated tobacco product in 2016 under the IQOS brand. Cigarettes are sold at the specialist retailers and vending machines in Spain. Few measures are exerted on distribution to control illicit tobacco and illegal sales of tobacco. Therefore, tobacco specialist retailers hold a strong share of distribution in Spain. The Spanish economy has witnessed a positive growth rates over the past years and will continue in the next few years although there is no enough support in the growth in sales of cigarettes. The report titled “Home Care Packaging in Japan”, provides a comprehensive analysis of home care packings, uses of home care packings, eco-friendly packings, manufacturers use of sustainable packings, and future of home care packings. Industry Overview: Japanese aim is to preserve environment which is declining due to growing economy, industrialization, increasing population, and depletion of natural resources. This trend has led to the development of waste processing plants and recycling plants within the country. Japanese population treasure and use everything as long as possible and motivated the development of technology for reuse and recycling. It was observed that the Japanese construction waste processing plants are sure to grow at a steady pace in the coming years. Home care packing is very high in almost all the developed countries for various uses. The market for home care packing contributes a majority of the share to the paper and paperboard packaging. The rising population in the country is driving the home care products packing materials. Majority of the home care packing materials in Japan are used for packing food products, household and personal care, healthcare, tobacco, and others. Eco-friendly packaging films are also used for home care packaging such as chemicals, goods, automotive parts, industrial goods, pharmaceutical products, and other consumer goods. Demand for Home Care Packings in Japan: There is a huge demand for folding carton in retail ready-to-eat food industry, cosmetics, personal care and fragrance industries in Japan. There is a huge demand for eco-friendly carton packaging in Japan due to the increasing number of strict government regulations and growing environmental concerns. The population is aware about the harmful chemicals used in various other packaging materials. Japanese government is also focusing on food packing such as safety in packing materials and prevention of food contamination. The innovative home care packing materials are gaining huge attraction and there is an increased adoption of folding packing cartons which are light in weight, eco-friendly, and economical. The Japanese folding carton market appears to be concentrated due to stiff competitive environment. The demand for folding carton will continue to increase due to the awareness in the Japanese population and processed food industry in Japan. All the cosmetics companies in Japan are required to comply with the good quality practice, good vigilance practice, and safety management according to the country laws. Japan’s Pharmaceutical and Medical Device Law (PMDL) concentrates on the package of the cosmetics products in Japan. The country’s cosmetics market is expected to grow at a steady rate in the coming years. New generation beauty and personal care products are very sensitive to exposure of light and air. Therefore, airtight packing continues as a leading packing with improved innovative technologies applied in cosmetic packaging. Japanese are investing in recyclable resins and are making huge investments in recycling supply infrastructure. The most safe and stable material in beauty products packing till date is PET. The country is investing in the research and exploration of biodegradable resins. The Japanese brands prefer simplicity in the shape and design in the packing of the cosmetic products. 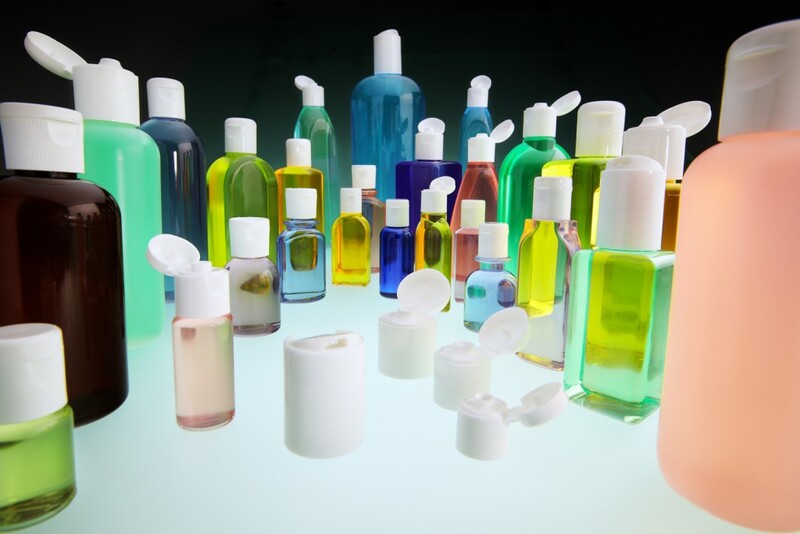 Growing Popularity of PET: It was observed that there is a growth of rigid PET containers, stretch-blow PET bottles and PET bottles which are used for trigger spray packs and aerosols replacing aluminium containers. The alternative to glass in Japan is heavy base PET containers, pots and jars used for facial compacts. Increasing waste concern will definitely boost the sustainable PET bottles used in soft drinks packing and other light for on-the-go consumption foods.Alcoholic drinks in Japan are packed in metal cans to avoid any environmental issues with other forms of packings. Majority of the premium beauty and personal care brands offer refill packs to improve environmental credentials. Future of Home Care Packings and Leading Players: The leading players in the home care packings market in Japan are Amcor, Mondi Group, Bemis, Rexam, RPC Group, Winpak, AptarGroup, Sonoco, Silgan Holdings, Tetra Laval, DS Smith PLC, CAN-PACK S.A. and Prolamina Packaging. Japanese manufacturers are adopting various innovative packaging solutions to meet varying consumer needs. Packaging materials such as glass jars, plastic containers, metal cans, folding cartons, and flexible packaging are utilized for packaging various baby food products such as dried foods, prepared foods, and milk formula. Majority of the Japanese consumers demand for eco-friendly or recyclable pouch packings and flexible packing materials for any baby food products. This process reduces raw material prices for packings. However, health and safety concerns are the major factors driving the food packaging market. Demand for home care packing is on the rise and therefore, the industry has introduced multiple packaging solutions without compromising on the safety standards. The home care packaging market will witness a rapid growth over the coming years despite the country’s economic setbacks. Energy sector (oil and gas companies) has been the biggest sector in terms of dollar value and it currently contributes a significant amount towards the national GDP of any country. However, plummeting oil prices and mounting climatic concerns have pushed the sector to look for advanced technological solutions in order to achieve sustainable growth. Report titled “ICT Investment Trends in the Energy Sector: Digital transformation and disruption will impact ICT investment strategies” discuss global market environment detailing Network and communications equipment, software licenses, application services, and network services are primarily attracting a major proportion of the budget allocations in their respective domains of hardware, software, IT services, and telecommunications. Energy companies are also making considerable investments in data center facilities, network, and service desk functionality. Expenditure on data center facilities is primarily driven by the requirement to devise better data storage, data recovery, and business continuity plans, while service desk functionality enable the integration of business processes into the service management infrastructure, to maintain the flow of business critical services. IT investments relating to planning & project management are considered important, with the highest proportion of energy companies considering this business area as one of their top IT priorities. Meanwhile, technologies such as Internet of Things (IoT) and cloud computing are finding pervasive adoption among energy companies who are increasingly deploying these disruptive forces of transformation to attain a competitive advantage in the sector. Therefore, ICT vendors offering products and services in these domains clearly have good growth opportunities in this market. Cloud computing services are witnessing an increased interest from energy companies primarily driven by benefits such as higher scalability, flexibility, cost reduction, and superior business continuity capabilities. Most energy companies are prioritizing investment in platform as a service (SaaS) and private cloud in the coming two years. IoT has emerged as the next disruptive technology segment. With benefits including reduced operational time and human intervention, IoT technologies such as auto ID & mobility technologies, supervisory control & data acquisition (SCADA), real-time location tracking, and security and network sensors are gaining popularity among energy companies. Genetic disorders market is forecast to grow from $19.6 billion in 2016 to $47.7 billion in 2023, at a CAGR of 13.6%. This high level of growth will be driven largely by orphan drugs for the treatment of rare genetic disorders. Report titled “Global Genetic Disorders Drugs Market to 2023 - A Rapidly Growing Treatment Landscape Driven by Targeted Complement System Inhibitors and Enzyme Replacement Therapies to Treat PNH and Lysosomal Storage Disease” helps the reader to gain more insights in the area of genetic disorders covering aspects such as Symptoms, Diagnosis, Treatment, Key products, clinical trials, company analysis and future forecast. As rare genetic disorders are often debilitating or fatal, with low prevalence, sponsors are willing to pay for some of the most expensive treatments in the pharmaceutical industry. This contributes to high sales revenue, despite small patient groups. Orphan drugs are able to generate high revenue because of developmental incentives such as marketing exclusivity, which allows for longer periods before generics and biosimilars can enter the market. 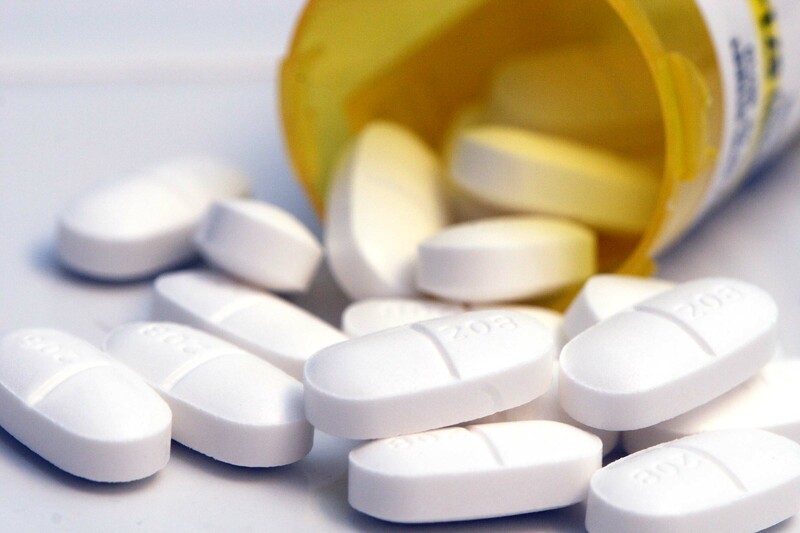 Furthermore, other incentives such as tax credits and accelerated approval lower the developmental costs faced by pharmaceutical companies, reducing the inherent financial risks involved and increasing the likelihood of recouping developmental costs from product sales. The genetic disorders market has a strong presence of specialized companies that focus on the development of treatments for genetic disorders, including Alexion, Sanofi, Shire and Vertex. Treating genetic disorders can be a desirable prospect, as many genetic disorders are underserved – with only symptomatic treatments – allowing for high prices. Furthermore, a range of lucrative incentives such as orphan drug status are available for pharmaceutical companies to develop treatments for rare diseases, including extended periods of market exclusivity and tax credits. There is evidence of more companies moving into this therapy area, and a resultant diversification of market share. 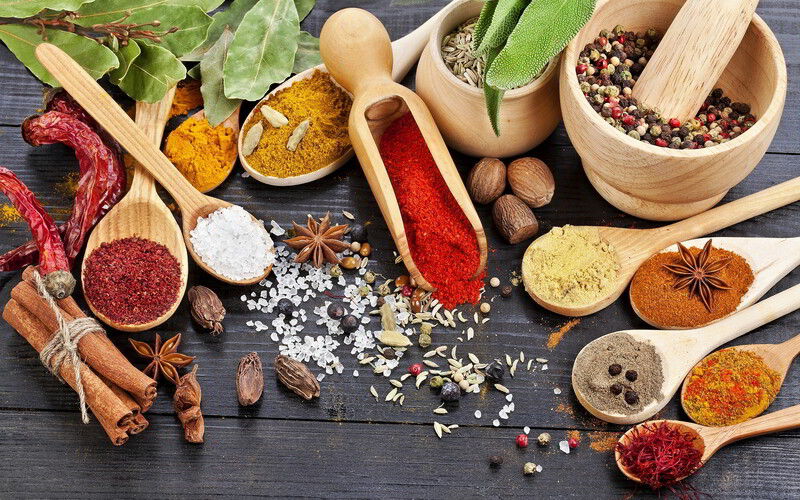 The report titled “Herbs, Spices & Seasonings (Seasonings, Dressings & Sauces) Market in Europe-Outlook to 2021: Market Size, Growth and Forecast Analytics”, provides a comprehensive analysis herbs, spices and seasonings market in Europe, European consumers convenience towards easy-to-prepare foods, health awareness, demand for herbs, spices and seasonings, demand for ethnic foods, increasing prices of the herbs, spices and seasonings and future of European herbs, spices and seasonings market. Industry Overview: Herbs, spices and seasonings are various pungent, aromatic plant substances, dried berries such as cinnamon or clove or nutmeg used as whole or ground and added to food for zest and flavour. They also include all dried herbs but exclude fresh herbs, spices and seasonings. The variants in herbs, spices and seasonings are dried herbs, pepper, salt, salt substitutes, single & other spices, spice mixes. The major distribution channel of the herbs, spices and seasonings in Europe are hypermarkets, supermarkets, convenience stores, department stores, dollar stores, variety store, E-retailers, food specialists, health stores, beauty stores, and other general retailers. European consumers are spending less money and less time on preparing meals due to their busy schedules, also the number of single households is increasing rapidly. Consumers are opting for easy-to-prepare and ready-cooked meals that rely on spices and herbs to retain and enhance food flavour. Easy-to-prepare and ready-cooked meals utilize crushed or ground spices, ground herbs, spice mixtures and herb mixtures that are known as ready-to-use spices and herbs. Therefore, there is a demand for processed spices and herbs and the trend will continue over the next few years. Grinding and crushing with improved processing facilities and detection techniques has witnessed a continuing growth over a period of time. Unhealthy food ingredients such as salt, sugar and synthetic additives are increasingly replaced by natural ingredients such as spices and herbs to promote healthy living. Consumers are expecting clean labelling and gluten-free labelling in the spices and herbs market. It was observed that there is huge demand for steam-sterilised spices and herbs in Europe because these products meet the strict requirements for microbiological contamination. Consumers earn a small premium, if they use steam sterilisation on spices and herbs. Growing Demand for Herbs, Spices and Seasonings in Europe: The demand for herbs, spices and seasonings in European is increasing due to the health and wellness trends such as healthy living, interest in new tastes and convenience. European consumers are continuously looking for new suppliers due to high prices and scarcity of herbs, spices and seasonings. European herbs, spices and seasonings market majorly focuses on the special varieties, improved quality and sustainability. However, the new players should comply with strict requirements for quality, food safety and traceability to enter the European herbs, spices and seasonings market. It was observed that for a very long time, Europe imports spices and herbs from the developing countries which is a continuing growth. The maturity of the industrial sector has led to a slower than in other sectors, however, herbs, spices and seasonings market will continue to grow. Almost all the Europe’s herbs, spices and seasonings imports are from the developing countries which hold positive market conditions. Herbs, spices and seasonings market is volume-driven with high competition and low margins. The small and medium-sized enterprises have good opportunities in supplying the speciality spices and herbs that are available and traded in smaller volumes. The special varieties of herbs and spices are Mexican chillies and Tellicherry peppercorns. The vendors focus more on speciality product characteristics such as colour, taste, fineness and sustainability. Growing Popularity of Ethnic Food in Europe: European consumers are demanding for ethnic food due to growing multicultural population within the country. Therefore, there is a huge demand for spices and herbs which are used in exotic cuisine. The popular flavours and tastes in the exotic cuisine are Chinese (pepper, ginger, anise), Indian food (curry, chillies, cardamom), Thai food (cassia cinnamon, cloves, nutmeg), and Vietnamese cuisine (ginger, chillies, fennel, pepper). The consumers are exploring new tastes by cooks and food manufacturers who ensure the market for herbs, spices and seasonings to grow continuously. Small, large, multinational food retailers and specialized brands are focused on ethnic foods coupled with herbs, spices and seasonings market. Smaller processors, retailers and specialised brands demand less of the herbs, spices and seasonings. Such outlets are less demanding in food safety, service and volume. They often import herbs, spices and seasonings from their home country and it is easy to connect with them. The ethnic food tastes vary by region, country and even consumers due to the use of different ingredients and mixes. Increase in Prices of Herbs, Spices and Seasonings in Europe: It was observed that there is a trend of increasing prices of herbs, spices and seasonings in the European market due to increasing demand and less production. The country, Madagascar is the leading producer of vanilla and the European import prices of vanilla increased significantly over the recent years due to production problems. The future of herbs, spices and seasonings is questionable due to the supply and huge demand. New plantings of spices and herbs will not be able to satisfy the global demand and replenish the low supply levels. Cultivating spices and herbs is a solution to the scarcity problem and the young population is not interested in farming. Spices and herbs are minor but very important ingredients that contribute taste to the food. Europeans demand for herbs and spices is relatively high and unaffected by price changes. Way Forward in Herbs, Spices and Seasonings in Europe: European requirements of quality, food safety and sustainability are the strictest in the world. Only a small share of the spice and herb are in compliant with European Union requirements. The increase in prices of herbs and spices has also increased fraud causing major concerns for European buyers. The country is continuously looking for suppliers who can meet the strictest requirements to establish long-term relationships along with reliable stock. Few suppliers work directly with farmers to avoid middlemen and such developments offer opportunities in the supply chain of herbs and spices. Europe herbs and spices consumers are attentive towards the responsibility for the social and environmental impact of the business. They are more concerned about child labour, healthy and safe working conditions, respecting labour laws, paying minimum wage and correct use of pesticides. All the herbs and spices leading players such as Unilever, Olam and Verstegen in Europe are collectively working on making the market more sustainable. European consumers are attracted towards convenience, health awareness, demand for ethnic foods and quality of product which tends drive the growth of herbs, spices and seasonings market in the next few years. Retailing in Turkey Market Shares Summary & Forecasts to 2021 provides a comprehensive analysis of retailing market, various categories in retailing market, leading players in various sectors in retailing market, and future of retail market in Turkey. Retail Market Over view: Retailing market in Turkey includes clothing, footwear, books, news and stationery, electrical and electronics, food and grocery, health and beauty, furniture and floor coverings, home and garden products, music, video and entertainment software, sports and leisure equipment, jewellery, watches and accessories, and luggage and leather goods. The health and beauty sector in Turkey is expected to witness the continuing double digit growth in the next few years due to increase in aging population, more women in the workforce, and consumers’ awareness of health and wellness benefits. Turkey lags in the e-commerce market and started to develop in the area of digitalization. Turkey’s relatively high rates of mobile Internet and social-network combined with a young and growing urban population, encourages the e-commerce environment. The rapid urbanization has encouraged the consumer electronics retailers in the country and the sales of smartphones are growing rapidly. The leading domestic players in Turkey’s consumer electronics retailers are Teknosa, Bimeks, Vestel, Vatan Computer, and Koç Holding’s retail banners, Arcelik and Beko. Metro Group is the leading international company in Turkey’s consumer electronics retailers. High-end electronics and smart phones in Turkey will drive the growth in the electrical retail sector in the next few years. The apparel and footwear segment in Turkey is fragmented with the presence of strong domestic players. Turkish consumers spend more on apparel and footwear and it is one of the fastest-growing retail categories in retail in Turkey. Waikiki is the leading domestic apparel and footwear retailer in Turkey and also operates in other countries. It is one of the best-established retailers in the apparel and footwear market and enjoys strong brand awareness among consumers. Turkey has a relatively young population with westernized tastes in fashion that creates a favourable environment for international fast-fashion retailers. The online purchase of clothing and footwear is increasing steadily and this trend will continue in the next few years. The major clothing and footwear retailers in Turkey are expanding their market by opening new stores within the country. According to the researchers, the Turkish retail industry witnessed a slight recovery, however, the stagnation still continues. The establishment of the number of shopping malls will continue to be slow and the rental income will decrease. The companies which invested fully in the domestic market need to venture into foreign markets for more growth opportunities. Turkey is a challenge to international retailers who looking for growth in retail markets. Macro factors such as economic expansion, increase in young population, strong retail sales growth, and a fragmented retail sector, go hand in hand for sophisticated retailers. They are benefitted from growth and merged opportunities in the country. As Turkey’s economic growth slowed and its political instability increased, many large international retailers began to withdraw from the retail market. Turkey’s modern retail sector is led by the domestic players, who create a highly competitive market. Turkish consumers spend on groceries despite slowing economic growth and the expenditure on food and non-alcoholic beverages has increased. The largest sector in the Turkish retail industry is food and grocery which contributes to a major share in the retail industry. Modernization, urbanization, and preference towards shopping in organized retail outlets are encouraging the growth in the food and grocery sector. The largest fastest-growing channel for food and grocery sales in Turkey are hypermarkets, supermarkets and hard-discounter. Online channel is at a budding stage with only top retailers competing in the online sales of foods and grocery. Food and grocery will also witness a continuing growth in the next few years. BIM, A101 and Sok are top three leading grocery discounters in Turkey which hold a mojor share in the retail industry. 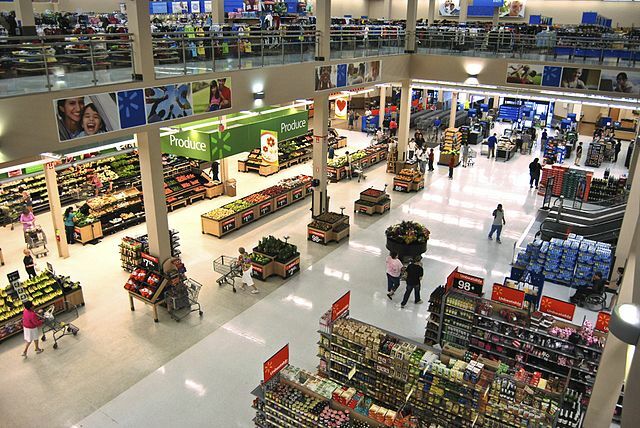 The discounters channel in Turkey is growing at the expense of supermarkets, hypermarkets and traditional grocery retailers because they provide proximity shopping, one-stop shopping and low prices. Leading Players and Future of Retail Market in Turkey: More than half the retail market in Turkey is operated by the small independents. The retail sector is more concentrated with leading companies expanding their businesses and market shares. Majority of the international retailers are considering withdrawing their business from the Turkish retail market in view of the recent political events. E-commerce occupies a relatively low share in the Turkish retail market and has scope for future expansion. 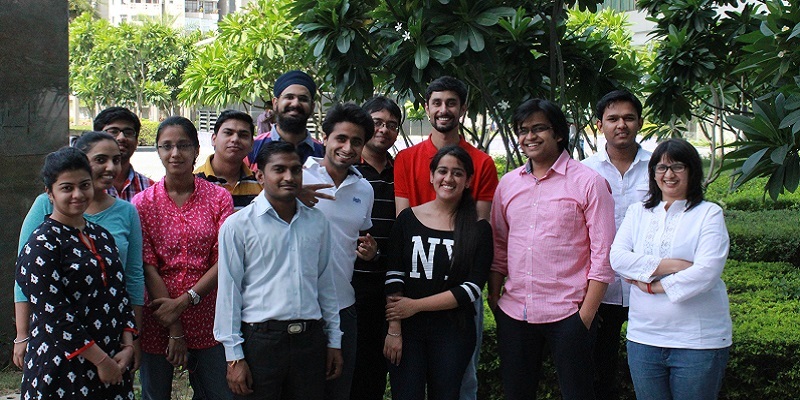 The leading players such as Hepsiburada are strengthening their market shares; retailers such as Migros and Teknosa are expanding their business by opening multi-channel operations. The leading comapines in the retail industry in Turkey are LC Waikiki, DeFacto, Koton, H&M, Boyner, Zara, YKM, BIM, Migros, A101, Carrefour, Sok, Vatan, Teknosa, Arcelik, Media Markt, Bimeks, Gratis, Watsons, Avon, Yves Rocher, Amway, Bellona, Tekzen, IKEA, Koctas, Bauhaus. Domestic retailing companies in Turkey such as Waikiki lead in apparels, Teknosa in consumer electronics and Hepsiburada in e-commerce. Consumers today buy everything from food, clothing, smartphones and or cosmetics on Hepsiburada.com. The company Hepsiburada.com, is owned by Turkish conglomerate Dogan Group, which is referred to as the Amazon of Turkey. It is the leading e-commerce retailer in its domestic market. The underlying uncertainty is affecting the Turkey’s economic growth and consumer confidence in recent years. The country’s economy witnessed resilience and started flourishing amid high inflation and volatility of the Turkish currency. The retail industry in Turkey is expected to grow gradually by the year 2021 with the recovery of the country’s GDP, rising employment, increasing wages, and increasing household consumption expenditure. The report titled “Payments Landscape in Ireland: Opportunities and Risks to 2021”, provides a comprehensive analysis of payments industry overview, payments industry undergoing infrastructure modernization, introduction of technological advancements in payments market, leading players in Ireland’s payment market, and the future of payments landscape in the country. Payments Landscape Overview: A payment industry comprise of many different entities relying on each other to operate efficiently and securely. Any payments industry is a network that communicates payment information from one point to another point. 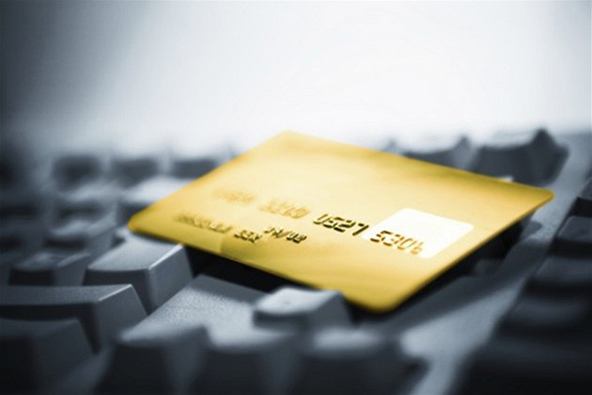 The payment process always starts with card brands irrespective of a consumer or a merchant. The card brands allow the merchant to issue co-branded credit cards to consumers and the acquirers to acquire merchants who accept credit cards. The acquirer authorizes card transactions and connects issuing banks. There are various acquires such as Visa, MasterCard, Discover, American Express, Diners Club and many more. Few acquirers process payments by themselves, while other acquirers allow a third-party to use their services and innovative payment technology to add more value to merchants. Modernization of Payments Infrastructures: Over the past few years it was observed that there is an influx of various companies entering the Irish payments industry utilizing eCommerce gateways and mobile payment providers. This trend exhibits significantly that the payments landscape in Ireland has expanded. There are an increasing number of Fintech (financial technology) companies in the payments industry in the recent years. This assured the merchants with a wider variety of selling methods. Payment market is a broad mix of payment vendors and payment technology solutions. The payments industry is currently undergoing infrastructure modernization required for nonbank innovators and addresses the growing customer needs. Over the past few years, more than 15 countries have modernized their payments infrastructures and many other countries are in the planning stage. It is a costly affair for both the system and at the bank level. 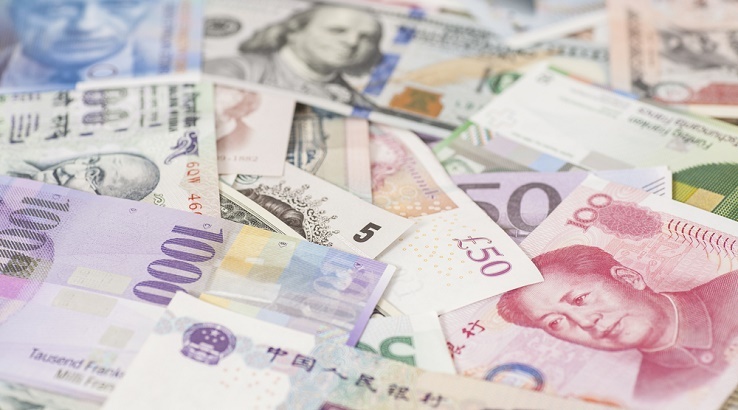 Cross-border payments inefficiencies are opening doors for new players in the payments market. Ireland’s Payments Landscape: The payments industry in Ireland includes credit transfers, direct debit, cash, payment cards, and cheques as payment instruments. In the year 2016, the Irish government replaced stamp duty with a fee on ATM cash withdrawals. The surcharge is to discouraging the use of debit cards at ATMs and encourage POS transactions. All the debit card transactions at POS terminals are free of charge. Irish consumers are accepting the contactless technology and the government has increased the contactless payment limit. According to Visa, more than 3 million contactless transactions on Visa debit cards were made every week in Ireland witnessing a drastic growth in the payments market. 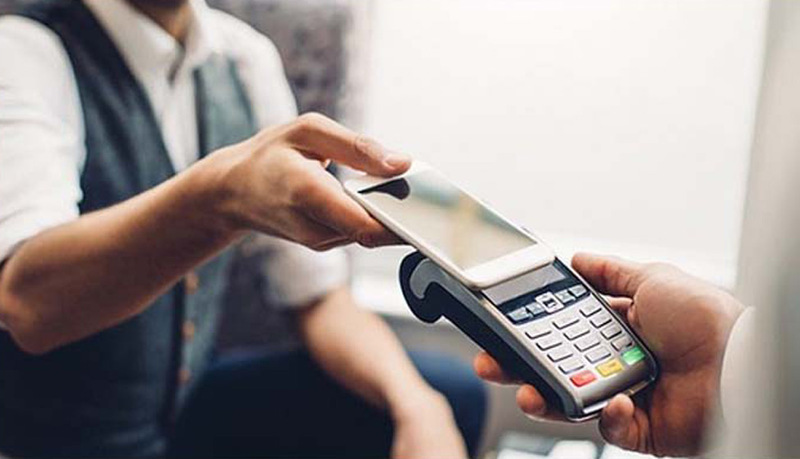 The increase in contactless spending limit and growing adoption of contactless POS terminals by retailers are the major factors affecting the growth in the contactless payments. The leading players in Irish payments market are Allied Irish Bank, Bank of Ireland, Ulster Bank, Permanent TSB, Avantcard, Visa and Mastercard. It is expect that the payments industry in Ireland will continue to grow at a moderated yet healthy rate during the next five years. Meanwhile, the growth in the payments market will be a rebalancing of revenue sources, and powerful disruptive forces will begin to reshape the Irish payments landscape. All the major banks in Ireland such as Kredietbank, ABB Insurance, CERA, (KBC Bank), Allied Irish Bank (AIB), Permanent TSB, Bank of Ireland (BOI), and Ulster Bank offer contactless cards. Way Forward in Payments Landscape in Ireland: Ireland is deploying tools such as P2P tools, mobile payment tools, and contactless cards to encourage digital payments in the country. The process of digitalization and introduction of embedded technological applications has encouraged the growth of online payments using various cards offered by the financial institutions. The innovative growing new trends will pave way for more opportunities in the payments industry in Ireland over the coming years. The report titled “Payments in Ireland 2017: What Consumers Want”, provides a comprehensive analysis of payments market overview, digital-only banks, cashless transaction options, MasterCard evolution, introduction of digital economy, technological advancements in payments market, leading players in Ireland’s payment market, and the future of payments market in the country. Payments Market Overview: Majority of the Ireland consumers prefer cash as a perfect instrument for payments and it accounts for more than half of the total payment transaction volume. The extensive use of cash in the country is expected to decrease the growth of electronic payments. Ireland government has proposed many initiatives to encourage card payments, contactless payments, digital and mobile wallets payments to reduce cash transactions. Ireland banks are attracted towards low-cost channels such as mobile and internet banking to offer their products and services. The development of digital-only banks will encourage the consumers to shift towards electronic payments options. A Germany-based mobile-only bank has launched its operations in Ireland and has encouraged consumers to open a current account by signing up via video chat or online. It was estimated that the growth in e-commerce transactions will drive growth in the payment card market, because, debit and credit cards remain a preferred choice for online payments among Irish consumers. Technological Advancements: The former domestic debit card operator in Ireland was Laser, which was the dominant debit card scheme provider until the year 2012 in the country. However, it was gradually overtaken by Visa and MasterCard. Laser ceased its operations completely in the year 2014. By the year 2015, MasterCard entered into a partnership with Bank of Ireland and is the sole credit card provider. As a result, almost all the banks Visa credit cards were replaced gradually with MasterCard-branded credit cards. Irish consumers are still adjusting to both the positive and negative effects of digital technologies on their personal lives. The introduction of digital economy in Ireland has raised its worth in Ireland’s GDP and this indicates that a continuing growth will be observed in payments category for the next few years. There are various trends in payments market in Ireland that involve technology which improves consumer payment experience using mobile devices, or the infrastructure that promotes digital payments. Finger print reader-equipped devices are utilized in the payments market to improve the customer experience. The biometric application creates more efficient and secure ways of making payments, and accessing secure bank websites. Almost all the smartphones are equipped with Artificial Intelligence and machine learning which will improve the ability to anticipate consumer needs and also enhances payment applications. The launch of 5G is set to change the digital landscape and enables the banks to communicate with customers in real time. 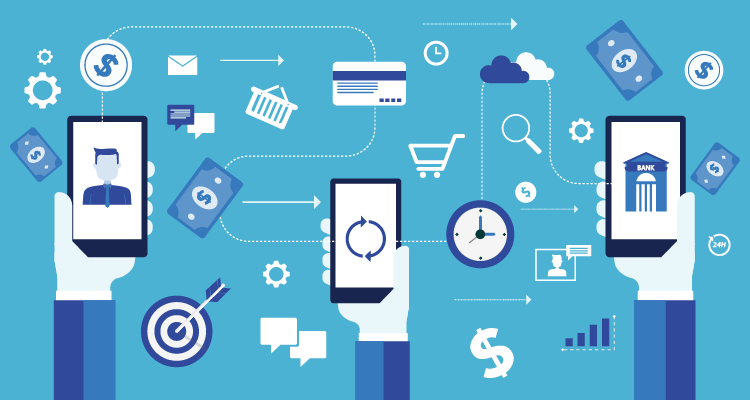 Leading Players in Payments Market in Ireland: Irish consumer payments market witnesses a disruption because consumers are using more powerful, faster-connected and better-specified digital devices to make payments. This growing harmonisation and integration of technologies is transforming both the way consumers make payments and how payments market needs to operate. 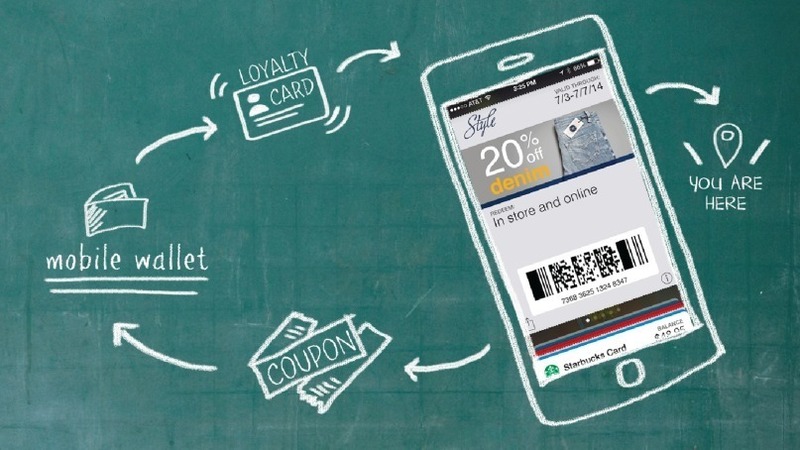 Advanced mobile technologies are powerful engines for a technological change in payments sector. Smartphones are supporting the growth of digitalisation in payments market along with automation and augmentation. The leading players in the payments market in Ireland are Allied Irish Bank, Bank of Ireland, Ulster Bank, Permanent TSB, Avantcard, Visa and Mastercard. It was observed that the technology is currently being developed to make payment services and transit payments even more seamless. Ireland is a region leader in terms of payments and also shares the changes in the payments market with IoT, biometric identification and social media. Ireland population has accepted and adopted contactless payment cards. With proper education, improvements to the security features on the merchant and issuer side, consumers are more comfortable using such cards. Irish consumers will witness less cash, and adoption of payment cards will increase drastically. Retailers and micro retailers will increasingly adapt to the payment cards in the next five years such that a card would not be need for shopping. Internet of Things plays a major role in connecting devices and all of the connected devices will all be able to make transactions on consumers’ behalf. Way Forward in Payments Market in Ireland: Banks in Ireland are deploying tools such as P2P tools, mobile payment tools, and contactless cards to encourage digital payments in the country. The process of digitalization and introduction of embedded technological applications was observed in the payments market in Ireland. This new trend has encouraged the growth of online payments using various cards offered by the financial institutions within the country. The growing new trends will pave way for more opportunities in the payments industry in Ireland over the coming years. Growth of non-oil private sectors, improvement in economic conditions, steady money transfer to Asian countries and increasing number of banks & exchange branches have driven the remittance industry in Kuwait. Kuwait is well-known as a leading cosmopolitan hub in the world with wide range of investment and job opportunities, due to which it has been a major attraction for job seekers from South Asian countries. Presence of huge expat population in the country has resulted in high demand for remittance to send back money to native homes. Major contributors for boom in the remittance market in Kuwait include blue collar and white collar customers. These customers remit huge part of their salaries to support their families in their home countries. International remittance market in Kuwait had always been in a growth phase owing to rise in the number of expatriates resulting out of the job opportunities developed in the country every year. Later in the review period, the remittance market in Kuwait was unstable owing to the economic downfall of the country due to the falling oil prices but retention in oil prices and economic diversification have been strong support for remittance industry in Kuwait. The internal migration rate in the country has also affected the domestic remittance in Kuwait. The citizens of Kuwait have been shifting from underdeveloped cities to developed cities for better job opportunities and higher wages in cities such as Al Ahmadi, Hawalli, As Salimiyah and others. Since 2015, the non-oil private sector business activities have displayed a tremendous growth in the country as the government has increased its focus on economic diversification. The bill payment industry in Kuwait has also witnessed tremendous growth with the increase in internet population and increasing dependability on e-payment wallets for bill payments. The increasing rate of internet population and the booming e-commerce market in the country have augmented the number of online purchases which thereby raised the online bill payments. With the growth of banks, exchanges, e-wallet operators and MTOs, the remittance industry in Kuwait has witnessed positive growth during the review period. The report titled “Kuwait Remittance Market by Inbound and Outbound International Remittance, by Mode of Transfer (Electronic and Cash), by Channel (Bank and Non-Bank), by Bill Payment Methods (Cash, Credit/Debit Card/E-Wallet and Electronic Transfers), by Types of Payment (Grocery Bills, Utility Bills, Fuel Bills, DTH and Broadband Bills and Mobile Recharge Bills) and by Regions – Outlook to 2022” by Ken Research suggested that growth of bill payment market and increasing expat population in the country will majorly account for the overall transaction growth of Kuwait remittance market in next 5 years till 2022. The report covers various aspects such as overall market size of Kuwait remittance market, international remittance market, domestic remittance market and bill payment market; segmentation on the basis of inbound & outbound international remittance, by major flow corridors (United States, Japan, Germany and others), by mode of transfer (electronic and cash), by channel (bank and non-bank), by bill payment methods (cash, credit/debit card/e-wallet and electronic transfers), by types of payment (grocery bills, utility bills, fuel bills, DTH & broadband bills and mobile recharge bills) and by regions. The report also covers snapshot on global remittance market, value chain analysis of Kuwait remittance & bill payment market, competitive scenario in the industry, SWOT analysis, trends & developments, issues and challenges, regulatory scenario of Kuwait remittance market. The report also covers the competitive landscape of the industry and comprehensive profile of leading players (Al Muzaini Exchange Company, Western Union, UAE Exchange, Havana Exchange Company, Bahrain Exchange Company, Dollarco Exchange Co. Limited, Al Mulla Exchange, Xendpay) operating in the market. The report concludes with future outlook and projections of Kuwait remittance market, major macroeconomic indicators and upcoming trends affecting the market have also been highlighted in the report. The report also serves competitive scenario for each market which exists in remittance industry to get an in-depth understanding of remittance sector in Kuwait. Kuwait is expected to witness significant increase in the number of expatriates in the country owing to growth in job opportunities in non-oil sectors which will positively aid the remittance industry. Recovery in oil prices, increasing presence of banks & exchanges in Kuwait backed with technological advancement will change the shape of remittance industry in upcoming years. Kuwait remittance industry is facing an intensified competition with the entry of new players in the market backed with banks & MTOs offering mobile banking and mobile wallet facilities to their customers for better customer satisfaction. With the growth of number of expats in the country, the demand for exchange houses in the country is also increasing. The infrastructure development activities undertaken by the government and government’s focus on economic diversity is set to increase job opportunities in the country. As majority of these jobs are expected to be in the thriving private sector of the country, there will be a significant increase in the number of expatriates in the country. This will clearly have a substantial impact on increasing remittance inflows and outflows, which are heavily dominated by the country’s expatriate population. The real estate and construction sectors are expected to grow in future which will elevate the business activities in the country and boost international remittance in Kuwait. Kuwait is expected to witness growing penetration rate of mobile phones and internet in the country which will further augment the bill payment market in upcoming years. Electricity and water usage among Kuwaiti households has been growing significantly in the past few years and will continue to rise. The increase in consumption of these facilities and shift towards online payment will boost bill payment market in Kuwait. The domestic remittance industry in future will be driven majorly by digital money transfer business. The transaction fee for domestic money transfer is very minimal and has greater speed which will majorly aid the growth of domestic remittance market in Kuwait. Additionally, the remittance industry in the country will grow on the back of increasing immigrant population and economic recovery. Number of immigrants in Kuwait, total number of households in Kuwait, number of Kuwaiti immigrants worldwide and internet user population in Kuwait are some other key factors that may have positive impact on the market, according to the Analyst at Ken Research. Ken Research in its latest study, Kuwait Remittance Market by Inbound and Outbound International Remittance, by Mode of Transfer (Electronic and Cash), by Channel (Bank and Non-Bank), by Bill Payment Methods (Cash, Credit/Debit Card/E-Wallet and Electronic Transfers), by Types of Payment (Grocery Bills, Utility Bills, Fuel Bills, DTH and Broadband Bills and Mobile Recharge Bills) and by Regions – Outlook to 2022, suggests that demand for remittance in the country will grow at a positive growth rate owing to government’s increased focus towards economic diversification.